Sign up to help out at open house! - NEW! Open house is coming up next Friday, April 13th, and we are still in need of a few more volunteers! If you are free and want to help out with this event, please sign up on the Google Doc. This is a great opportunity to welcome the new students and their parents to the MATE family! 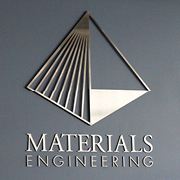 Alpha Sigma Mu is hosting the 18th Annual Materials Engineering Banquet on Friday, April 20th at the ATL (Bldg 7). The theme is Fiesta! The event will begin at 7 PM and end at 10 PM. The banquet is the biggest social event of the year for the MATE department. There will be time to socialize with fellow materials engineers, delicious food (it will be Taqueria Santa Cruz this year! ), and some excellent skits. ASMu representatives will be stopping by MATE classes next week to sell tickets! Tickets will also be sold during UU hour in the MATE lounge on Thursday, 4/12. The tickets cost $10 for MATEs, and $20 for non-MATEs. If you or a group of MATEs have a skit or act that you may be interested in performing at the banquet, please let an ASMu representative know. For any questions, feel free to contact Alex Pauer (apauer@calpoly.edu). 2018 DGR Engineering Scholarship - Apply by May 15 - New! Abbott is seeking a hands-on, proactive, high caliber Materials Technology co-op student to support full time engineers and scientists in the execution of materials-focused, medical device research and development. The candidate will utilize engineering concepts and processes to perform assignments of various scope and complexity towards developing and implementing solutions for routine to complex problems. For more information, download the co-op full description!